A 300,000-page maximum monthly duty cycle, output up to 65 ppm, and a larger capacity input tray put the MX912dxe at the top of Lexmark’s large-format monochrome multifunction product line. Show the big picture that typical printers can’t produce, with SRA3 / 12x18" capability. 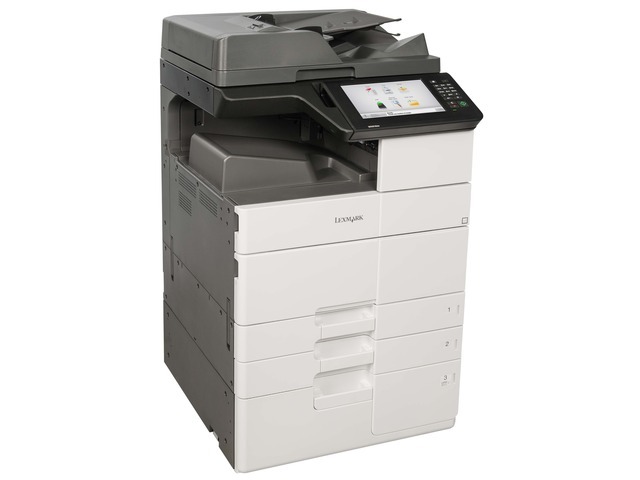 Meet your most demanding output requirements with up to 65 pages per minute, input capacity up to 6,650 pages and a 300,000-page maximum monthly duty cycle. **Photoconductor yield based on 3 average letter/A4-size pages per print job and approximately 5% coverage. Actual Yield may vary based on other factors such as device speed, paper size and feed orientation, toner coverage, tray source, percentage of black-only printing and average print job complexity. 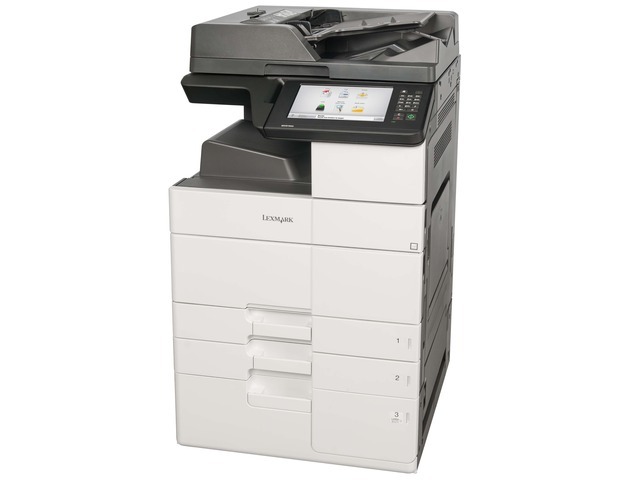 *Average Continuous Cartridge Yield in one-sided (simplex) mode up to 21,000 standard pages. Declared yield value in accordance with ISO/IEC 19752. For a country specific phone adapter, please contact your Lexmark representative or visit www.support.lexmark.com.